I read the other day that there are about 140,000 wineries in the world, most of them small. It’s not hard to imagine that given this fact, gaining the attention of distributors, retailers and consumers is a monumental task. Because wine is an emotional product, telling a good story is an essential first step. 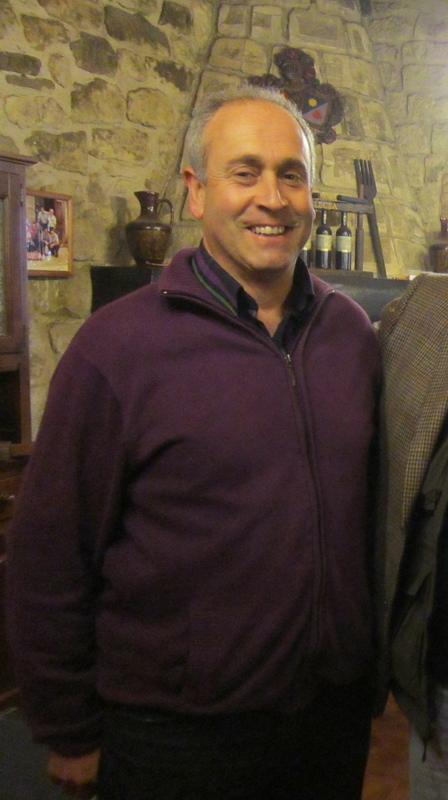 Rioja has a number of master storytellers, notably María José López de Heredia, Agustín Santolaya from Roda and Miguel Ángel de Gregorio (Finca Allende), but the king is Álvaro Palacios. Álvaro is one of several brothers in the Palacios family from Alfaro in Rioja Baja. In the 1980s it appeared that family patriarch Antonio Palacios was going to pass the torch to his oldest son Antonio. Álvaro felt restless so he went to work for a few years at a barrel manufacturer and then struck out on his own. He settled in Priorato, a remote hilly area with slate soil in the province of Tarragona, known chiefly because of a company that made communion wines. He must have seen something special there because he soon began making very small batches of wine that he aged in a few oak barriques. I’m sure his father was proud of Álvaro for his independent spirit but that didn’t keep him from making a little fun of him. Antonio senior once told me that Álvaro only had two or three barrels – a joke at a time when a Rioja winery had to own at least 500 barrels to have the right to use the official Rioja crianza, reserva and gran reserva back labels. The next thing I heard from Álvaro was at the holiday portfolio tasting in 1990 at Martin-Scott Wines, Campo Viejo’s New York distributor. Each of the suppliers present had to pour their own wines as well as those from producers from the same country who weren’t able to attend the tasting. I had to pour a wine called Clos Dofí, a powerful, inky red from Priorato made with garnacha and six or seven other varieties. Surprise! It was Álvaro’s first wine. The rest is history as Álvaro has parlayed the wines from those few barrels into a reputation as Spain’s most famous winemaker. A few years ago, the tables turned for the Palacios family with the eldest son leaving to start his own venture, and the Rioja winery in the hands of his sister Chelo. 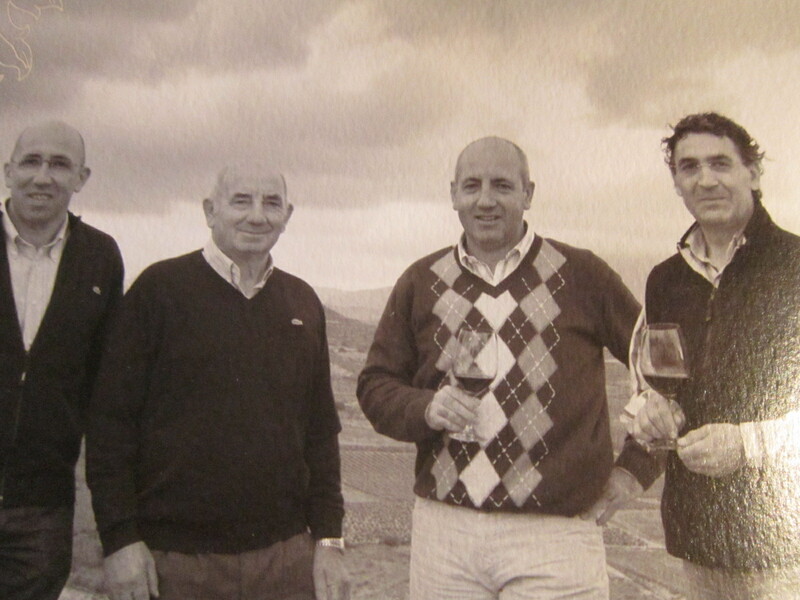 She persuaded Álvaro to return to Rioja to lead the family winery while maintaining his businesses in Priorat and Bierzo, this last one with Chelo’s son Ricardo Pérez. Álvaro’s presence was quickly felt in Alfaro with the creation and success of Placet, La Montesa, Propiedad and La Vendimia with which he has tried passionately to elevate the image of Rioja Baja, the garnacha grape, that accounted for half the area planted to red grapes until the early 1980s, and high altitude viticulture at the family’s vineyards on the slopes of Mount Yerga. It’s a job he’s been largely doing by himself. A few days ago he wrote an impassioned article in our local paper criticizing the decision of the governments of La Rioja and Álava (central and western Rioja) to apply for UNESCO World Heritage status for Rioja Alta and Rioja Alavesa while completely ignoring Rioja Baja. It’s a shame. Álvaro once again turned the status quo in Rioja on its head at a recent press conference where he announced the creation of a ” game changing” single vineyard garnacha from Rioja Baja. At an interview given to The Drinks Business, Palacio touched all the right buttons, instantly creating enormous expectation about the release of his revolutionary Rioja. This is wine storytelling at its best. Pioneering Spanish winemaker Alvaro Palacios is to release a “game changing” single vineyard Rioja onto the market next year. 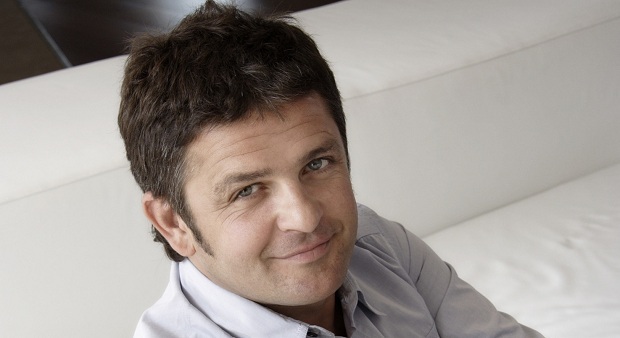 Speaking exclusively to the drinks business at an en primeur tasting of the 2013 vintage of his wines from Priorat and Bierzo, Palacios said: “It will be nothing like any wine to have come out of Rioja so far. “It’s a bit like a Gevrey-Chambertin in character – it has real soul and is quite magical. Due to be called Valmira, the wine is made from 100% Garnacha grown in a three-hectare single vineyard of the same name at Palacios’ family estate in the village of Alfaro in Rioja Baja. “I’m confident about the pricing because I’m confident about the quality of the wine. Plus, there won’t be a lot of it – only around 1,300 bottles of the 2013 vintage,” he said. Palacios has been working on the project for a decade, but a standout harvest in 2013 has spurred the perfectionist to finally release it. Over the last 10 years, Palacios has been busy grafting low bush vines with Garnacha and uprooting the Tempranillo planted in the vineyard. The wine business would be a different place if more wineries told their stories with as much passion as Álvaro Palacios. Jeremy Watson’s knowledge of Spain, Spanish wines and of course Rioja far surpassed anyone else’s in the UK until he retired 10 years ago. He had a leg up on most of the other Spanish specialists because of his long experience as a Spanish wine importer, agent, Director of Wines from Spain UK for many years and author. His magnum opus, The New and Classical Wines of Spain, published in 2002, is a hefty 440 page in-depth look at everything you need to know about Spanish wines. I met Jeremy in the mid-1970s while working at Hijos de Antonio Barceló, my first job in the wine business and we have been good friends ever since. Jeremy often emails me thoughtful, incisive comments about my posts in Inside Rioja, which I greatly appreciate. 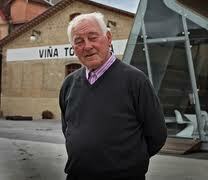 The one below is especially enlightening about Rioja in the late 1960s and Bodegas Bilbainas in particular. It is with his permission that I reproduce it for you. 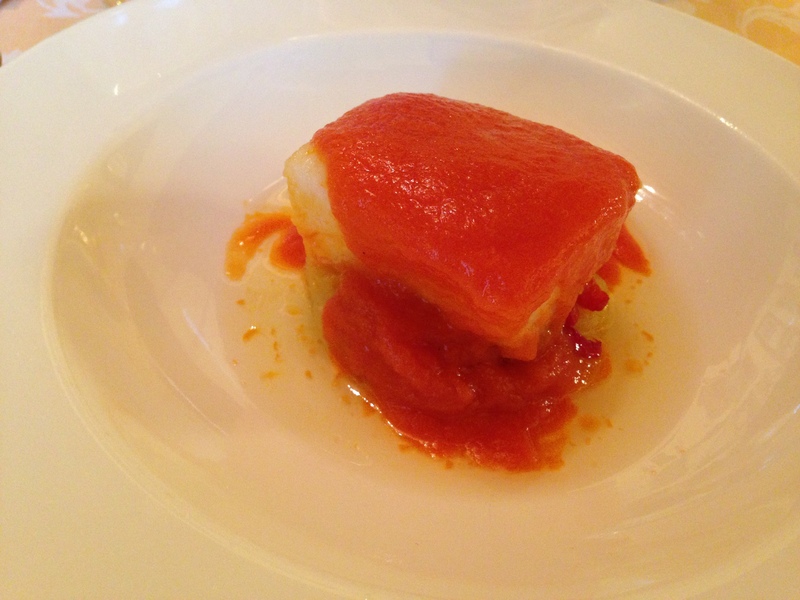 I very much enjoyed your piece about the La Tavina Tastings and Bilbainas. You may recall this was the first Rioja Bodega I ever visited and that was in 1968 when my then wife and I included it when having a holiday in Zarauz. The company I worked for in London imported vast quantities of Rioja wines but in bulk for bottling in the UK and marketed as Spanish Burgundy, Chablis etcetera, but certainly not as Rioja. So our visit was very welcome and the boss, owner Don Juan Ugarte, travelled up from Bilbao to receive us. He was a charming man but with very strong views; “Spain makes the best wines in the world, Rioja is the best wine in Spain and Bilbainas makes the best wines in Rioja. Therefore Bilbainas makes the best wines in the world”!!!!! There’s something rather Montgomeryesque about those words; “I won Alamein and according to Churchill Alamein won the war, therefore I won the war.” In Ugarte’s case it was explained to me as typical Basque pride. In Montgomery’s, only he knows. Anyway after a very interesting tour of the Bodega when we saw what was state of the art technology at the time of ultra modern steel fermentation hoppers and the temperature controlled fermentation vats for the whites, we sat down on a sofa to taste the full range of wines. They were on a small coffee table using an assortment of glasses little bigger than egg cups and all colours of the rainbow; tricky to say the least. What was striking though was the crisp, light freshness of the cheap, unaged white. It was 4 years before I visited other Bodegas, those being Riscal and Murrieta. They were not so welcoming but our contacts with them were more intermittent. Since then I have been lucky enough to visit over a hundred. In 1973 Rioja exports to Britain were about 25,000 cases if my memory serves me right. By 1978 this had risen to 75,000 when the acceleration began to 300,000 cases in 1982 and the 3 million today. I recall one lovely story told to me by Santiago, Juan’s only son. They had shipped the usual railway wagonload of bottled wines for our Christmas requirements by train direct from the Bodega but it never arrived at the port, so a replacement was sent by road at great expense to them. Meanwhile Santiago tried tracing the route of the container through Miranda de Ebro to Bilbao but could not find it until he actually started going through the marshalling yards at Miranda. No small job but and eventually he came across it tucked away at the back. When he made enquiries of the shunters he was told that it was a ‘terrible error’ which they could not comprehend. Though not the brightest spark, Santi guessed he knew the answer and went back to the Bodega to enquire whether the usual couple of free cases for the shunters at Miranda had been included in the wagon. He was told they had been forgotten; so the problem was solved. Mind you I believe there was a similar gift for the Customs at Bilbao from most Bodegas and that practice continued for many years. Elaborating on Jeremy’s story, after Santi Ugarte’s death, the remaining heirs fought off a hostile takeover by their neighbour winery CVNE and sold the company to a group of investors led by a director of a major Spanish bank, José Luis Urdampilleta. They made important investments, especially a remodelling of the huge barrel ageing cellars after which they sold the winery to Codorniú who have the financial resources and distribution to give the Bilbainas wines the recognition they deserve. 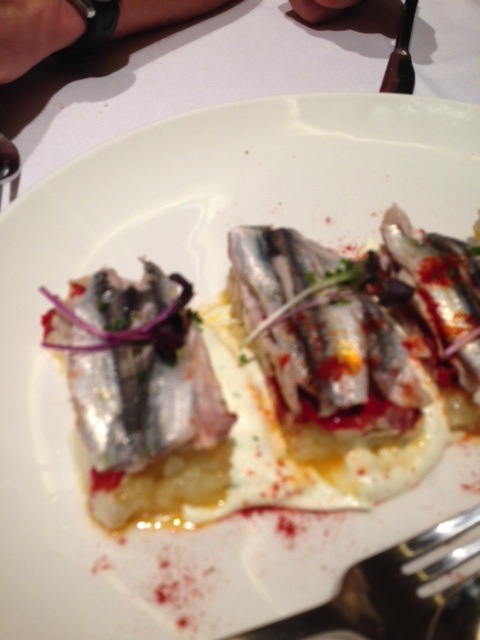 Most people living outside Spain aren’t aware that Bilbainas produces one of Spain’s best cavas – Royal Carlton. Their experience with sparkling wine goes back almost a century. 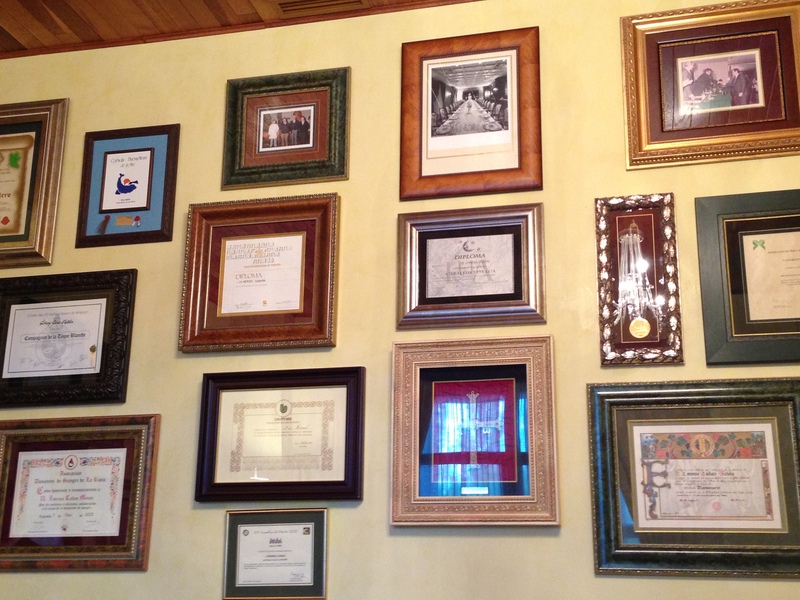 I remember visiting several years ago with a group of wine writers at which time the winery showed us a framed invoice from Bilbainas to one of the most famous champagne houses. I can’t remember the date of the invoice but apparently this particular maison had problems providing champagne to its customers and turned to a Rioja bodega for help! Another interesting anecdote referred to the future of the Royal Carlton brand after Bilbainas’ purchase by Codorniú. In spite of Royal Carlton’s popularity in Catalonia, Codorniú’s first intention was to discontinue the brand. They received so many complaints from shops and consumers that they decided to keep selling this Riojan cava in Catalonian cava’s home market! 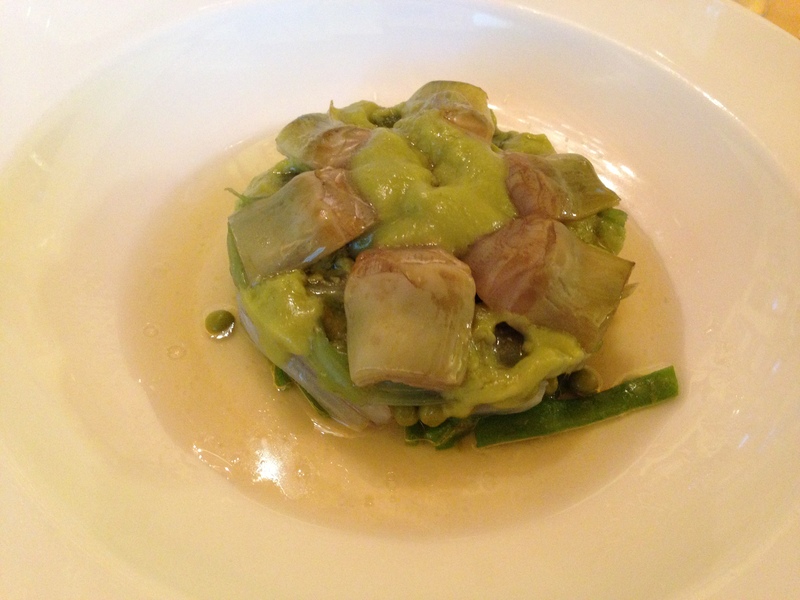 Lorenzo Cañas doesn’t have a Michelin star like several other restaurants in the Rioja region but there’s no doubt that he’s the best-known and loved of all the local chefs. He’s always been known as a chef ahead of his time. He revolutionized the gastronomic scene in Rioja when he opened his restaurant La Merced in a palace on calle Mayor in the old quarter of Logroño in January 1983, about the time I moved here. Pre-Lorenzo restaurants here offered the hearty fare of the region – baby lamb chops (chuletillas de cordero), vegetable stew (menestra de verduras), a white bean potage (pochas), chickpeas (garbanzos), white asparagus and several kinds of grilled fish, all served in rather unpretentious surroundings. 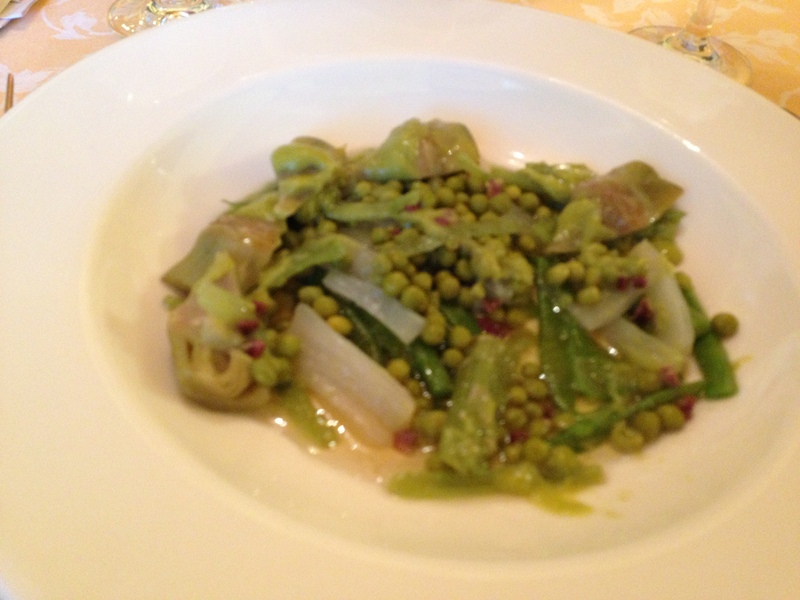 Some people here say that the food was usually thrown on your plate rather than served. Lorenzo literally brought to the table his vast experience as a chef and diner at the best tables all over Europe, taking dining to a higher level in his gourmet restaurant with classical music, fine art hanging from the walls, porcelain dishes, linen tablecloths and a huge underground wine cellar stocked with mostly Rioja but also wines from other regions in Spain and many from abroad, especially France. 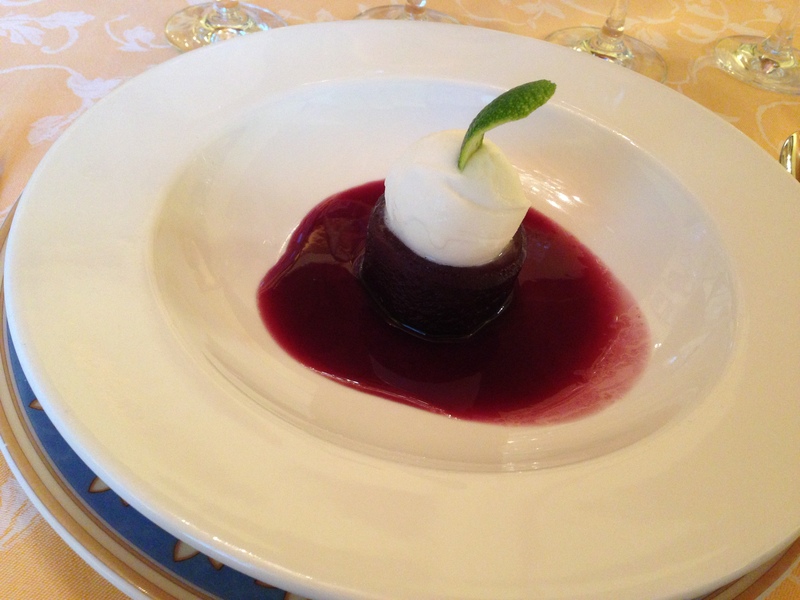 He was trying to bring the best in fine dining to our little region. Most of his customers were businessmen like me with expense accounts from wineries and visitors from big cities around Spain. Sadly, most of the locals didn’t understand what he was trying to create. 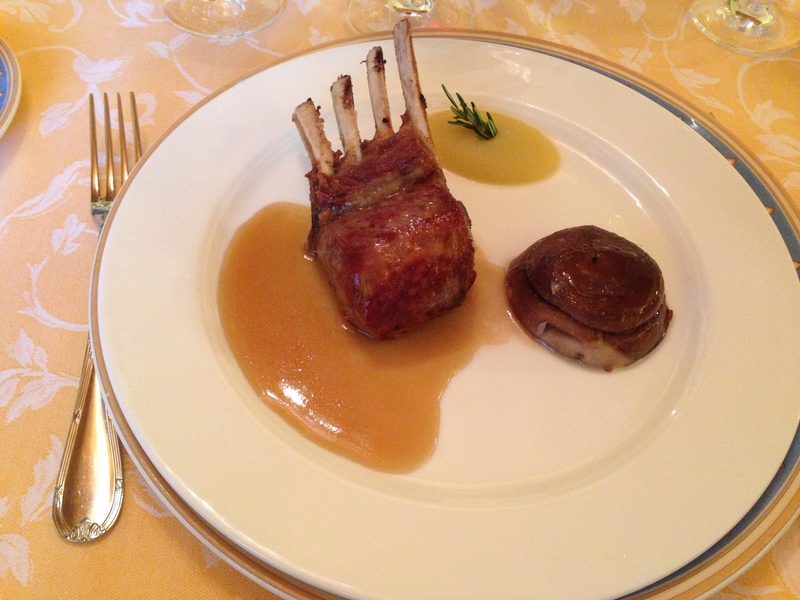 It wasn’t the cost of the meal but rather the modern twist on our regional cuisine that turned people off. Here, most diners preferred simplicity of style, food like their mothers used to make in the village. I always thought it funny that people wanted to be seen driving Audis and BMWs but would rather eat in a local tavern. The recession of the late 1980s slowed business down, especially from the wineries, and by the mid nineties Lorenzo decided to close La Merced. He didn’t go away, though. Realizing that even though Riojans didn’t appreciate a fine dining experience on a Friday or Saturday evening, they were prepared to pay big money for their children’s christenings, first communions and weddings, as well as for government-sponsored awards dinners, so he reopened La Merced in a huge new facility on the outskirts of Logroño as an events caterer and has been going full speed ahead ever since. Two weeks ago, our local newspaper LA RIOJA took a big stand at San Sebastian Gastronomika, one of the world’s foremost gastronomic congresses. The paper invited me along to cover the event from a ‘foreigner’s’ perspective. Each day for three days, a lunch was prepared for chefs and journalists by a famous Riojan chef – Francis Paniego of Echaurren, Ignacio Echapresto of La Venta Moncalvillo (each of these with a Michelin star) and of course, Lorenzo Cañas. 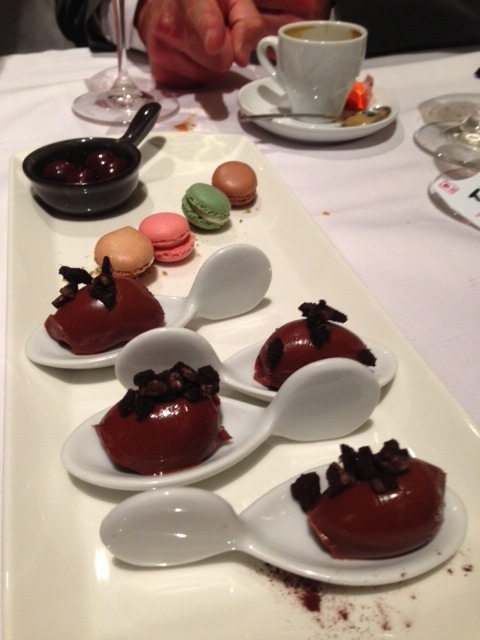 All three meals were very good but all of us from the newspaper agreed that Lorenzo blew the others away. A humble man not satisfied with his effort in San Sebastian (although I thought that his cod in tomato sauce was the best I had ever tasted) Lorenzo decided to invite us for lunch last Friday at La Merced, serving the same meal as in San Sebastian. It was even better than the time before, and all the more amazing because Lorenzo is capable of serving that kind quality to three hundred people at a time. 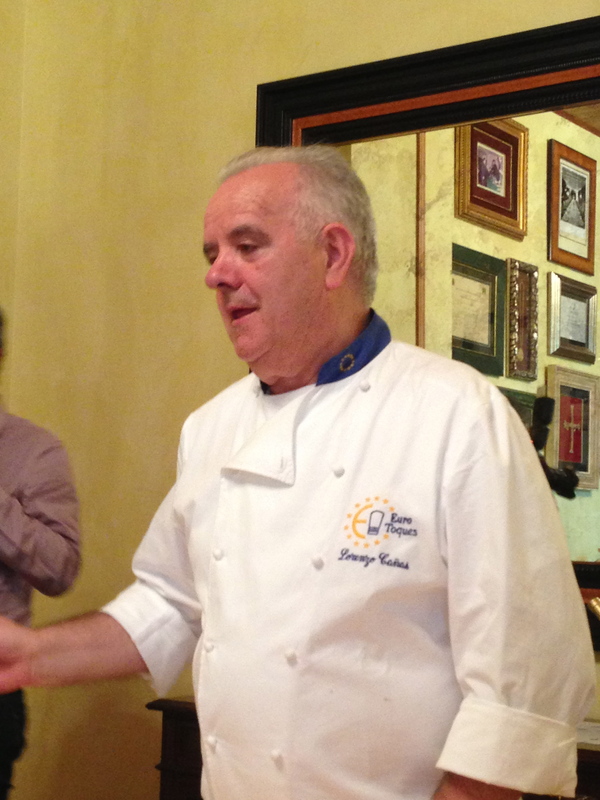 Lorenzo spent several hours during and after the meal answering questions and reminiscing about his 40-plus years of experience. His only admission of any prestigious achievement was showing us his book of VIP guests, filled with words of admiration from heads of state, ministers, actors, actresses and other celebrities. 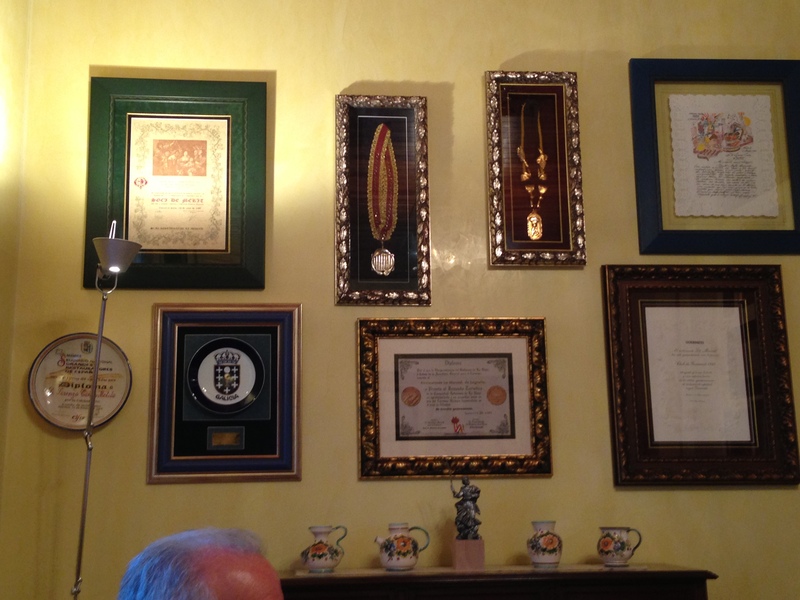 The walls of his private dining room are covered with awards and certificates of membership in the most famous gastronomic societies in the world. I feel sorry for friends who visit us here – we can take them to great tapas bars, local holes-in-the-wall and Michelin-starred restaurants, but to eat a Lorenzo Cañas meal you have to be invited to a first communion or a wedding! 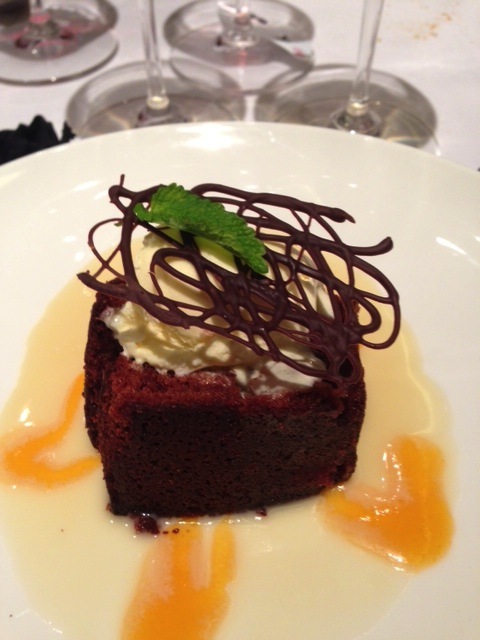 Sorry for not including any tasting notes – I was too busy enjoying the food! For the first time in its 87-year history, a grape grower has been elected president of the Rioja Interprofessional Committee and the Regulatory Council. Luis Alberto Lecea, whom we’ve visited on Inside Rioja, will take over from Victor Pascual as soon as the Ministry of Agriculture publishes the order ratifying his appointment in the Official Journal. It’s about time. Lecea, a well-respected leader of the Riojan chapter of ASAJA, one of Spain’s farmers’ unions, carries a lot of weight on his shoulders. Farmers and wine co-ops here have complained for several years about low prices of grapes and wine, a situation that practically paralyzed the Rioja Interprofessional Committee and the Regulatory Council for the last 18 months of Pascual’s nine year tenure. The producers were hoping to pressure the wineries into paying higher prices by refusing to approve the Council’s advertising and operating budgets but last minute negotiations, promises and the lack of unity between the co-ops and the unions always allowed the budgets to be approved. Lecea brings a lot of experience and a cool head to the table but my first impression is that fellow growers expect him to push through a deal for higher grape and wine prices. In his first interview he said, “Minimum prices aren’t possible and reference prices in the wine business are a complicated matter, but we have to be capable of putting in place a means to guarantee a minimum price because the added value of bottles should be reflected in the price of grapes. I insist that if Rioja doesn’t pay a fair price (for grapes), quality grapes won’t be produced.” Spoken like a true politician. The Grupo Rioja, the largest winery association whose members include all the big wineries, and whose support allowed Lecea to be elected, picked up the gauntlet by convening a press conference on June 24. “Grape and wine prices are set by supply and demand” was the association’s message. So, once again, swords have been drawn, confirming my contention that if there’s no political conflict in Rioja, one has to be created. Fortunately, if we look at the big picture, we can see that in spite of low grape prices, Riojan vineyards continue to be exquisitely tended. On the winery side, there is more variety and more interesting wine on the market than ever before in spite of shrinking retail prices. So, as one prone to sarcasm like me, these political statements sound like a lot of hot air. As much as I sympathize with the economic woes of the growers, I don’t see distributors and supermarkets around the world willing to pay higher prices for Rioja in the medium term unless individual wineries come up with products that these gatekeepers think are worth the extra cost. Because of their weight in Rioja, the onus is on the big wineries to provide these added-value products and sell the hell out of them. Mr. Pascual said in his farewell speech, “Nine years ago it was unthinkable that Rioja would sell 100 million liters outside of Spain.” Spaniards would respond that Mr. Pascual doesn’t have a grandmother (in Spain, grandmothers are the people that heap praise on their offspring. “Not to have a grandmother” means you have to praise yourself!) On a serious note, it is indeed a testimony to hard work by wineries and a willingness to invest in international generic and branded PR by both wineries and farmers that this figure has been reached, but there has also been a healthy dose of price cutting, starting, in some cases, long before the economic crisis hit in 2008. If, however, we forget about internal politics and concentrate on what’s on the shelf, today is a great time to get great deals on good wine. To me as a consumer, that’s what matters. 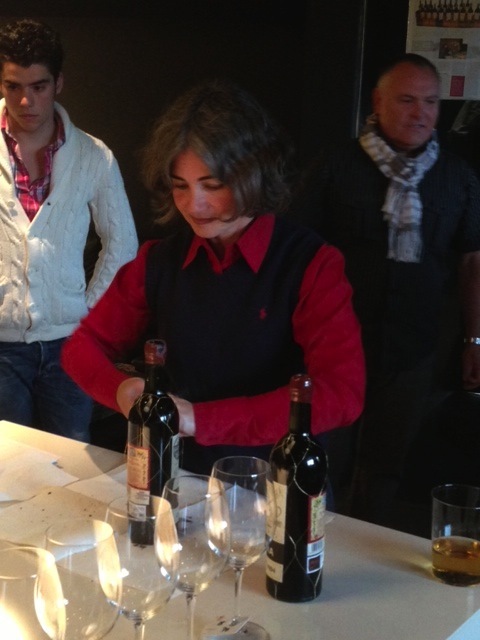 María José López de Heredia is one of my favorite people and I love her wines, so when I was offered the chance to attend a tutored tasting of her wines, I jumped. An extra added attraction was the venue: Benjamin Romeo’s Wine Bar La Tercera Estación in San Vicente de La Sonsierra. The event was a tasting of three vintages of Viña Tondonia white (1998, 1991 and 1970), three Tondonia reds (2001, 1994 and 1964) and a dinner made by Benjamin’s wife Iraide Somarriba, one of the chefs at the well-known restaurant Regi, near Bilbao. 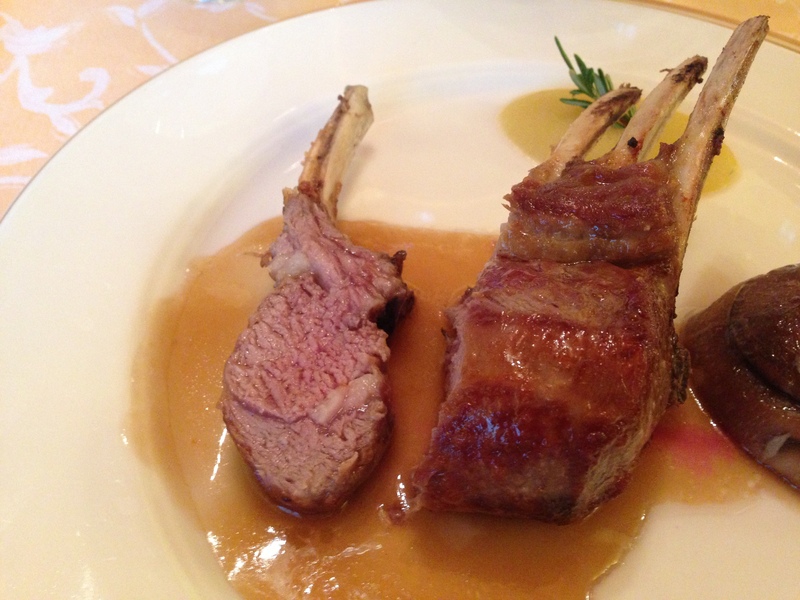 The meal was accompanied by Benjamin’s wines from Bodega Contador. 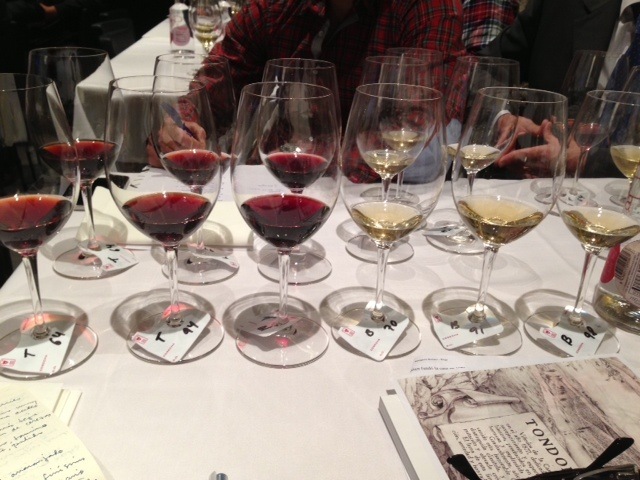 This event was a unique opportunity to taste wines with diametrically opposed character – Viña Tondonia is the essence of elegance and delicacy while Contador is big, bold and in your face. It’s amazing that both styles coexist in Rioja, perfectly illustrating the Regulatory Council’s motto ‘Rioja, land of a thousand wines’. I’ve heard María José speak many times but each time I learn something new about her family and the origin of the López de Heredia winery. She told us that her great grandfather, Rafael López de Heredia, had no intention of making a wine for the masses. His dream was to promote the concept of ‘vinos finos’ as opposed to ordinary table wines. His target market was elitist: people who had a car, wore a tie and spoke languages, a very small market in early 20th century Spain. To accomplish this, he decided to set up an office and tasting room in downtown Madrid between Cibeles and the Puerta del Sol. Every day he received news from the winery and sent detailed instructions to Haro, no easy task in an age where telegrams and letters were the most efficient means of communication before widespread use of the telephone. 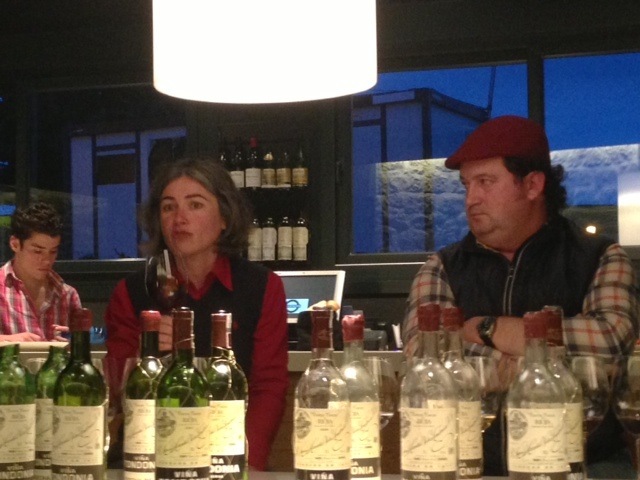 María José explained that the wide variety of styles of Rioja is due more to the way vineyards are tended and vinification than to climate change. It was surprising therefore to note that the alcoholic strength of the three whites increased with newer vintages: 1970-11,5%; 1991-12% and 1998-12/12,5%. This seemed to be a contradiction until she explained that until 1970, Tondonia whites had a larger percentage of malvasía, which produces wines with lower alcohol. 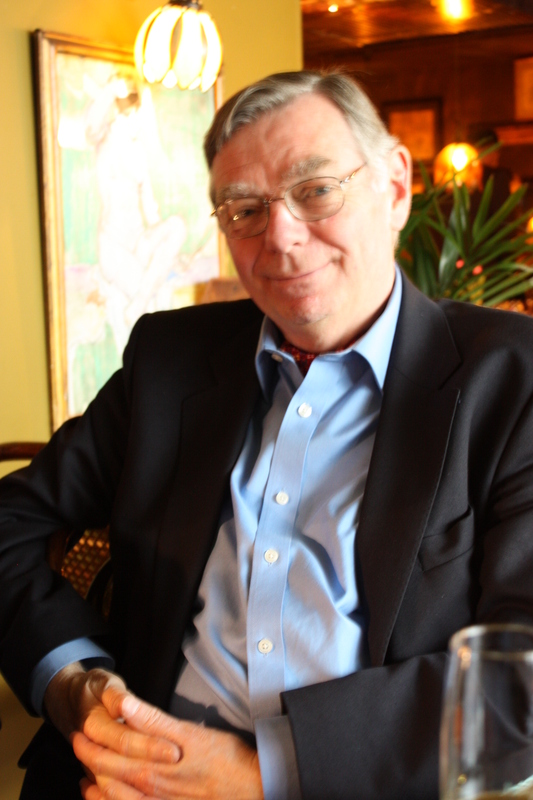 It would be interesting for María José to meet professor Gregory Jones from the University of South Oregon, who has done extensive research on the effects of climate change on wine. According to a report I recently read, research in St.-Émilion and Pomerol revealed that climate accounted for over 50% of the variation in quality parameters, 25% was due to soil, 15-20% due to cultural practices and varietal differences the rest. It was hard for me to concentrate on the wines while listening to María José’s storytelling, but my tasting notes follow. 1991 white: straw yellow; chamomile, wildflowers; high acidity, good structure. Amazingly alive for a 22 year old white. 1970 white: a little darker straw yellow; slight oak aroma, melon, grapefruit, wildflowers; good structure, long mouthfeel. Amazingly alive for a 43 year old wine. It was blindingly obvious that high acidity provided the backbone allowing this wine to retain its characteristics after so many years. 2001: cherry/light brick; lively; maraschino cherries; great structure with firm, elegant tannins and lively acidity. 1994: color a little more towards brick than cherry; same delicate sensation of cherries; round, elegant tannins, very polished, high acidity. 1964: brick with an orange rim; delicately floral; red fruit just perceptible, still good acidity. An interesting wine but past its prime. Who cares? What an experience! It was hard to believe that this wine was thirty years older than the 1994. On the subject of ageing, María José explained that her great grandfather didn’t intend his wines to be laid down, except for consumption by the family – this was his concept of a ‘reserva’, something for the family to keep and drink. Judging from the acclaim received for these old vintages from wine writers and consumers, it’s fortunate that the stock of these old vintages of Tondonia has surpassed the family’s thirst! 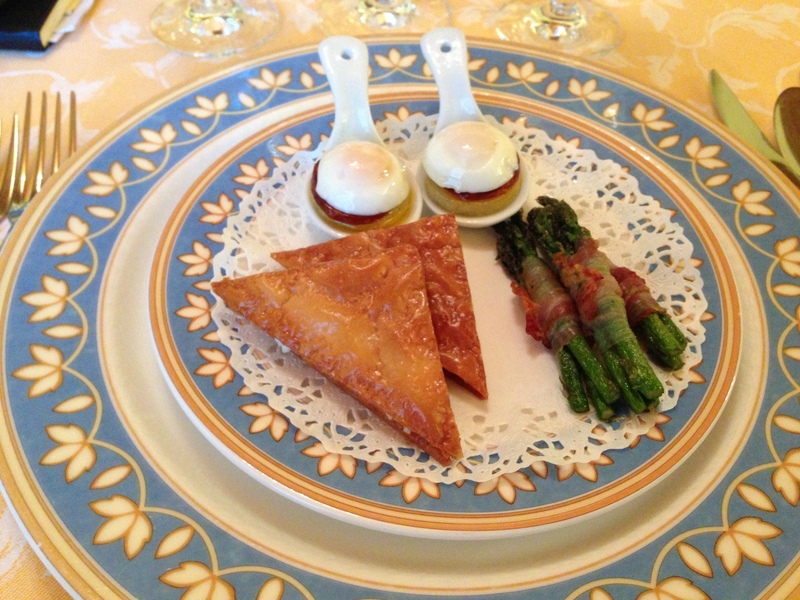 For dinner, Iraide Somarriba prepared a fantastic offering of dishes to go with her husband’s wines. By this time (since no spit buckets had been provided), the conversation around the table was lively and we concentrated more on the food rather than the wine. 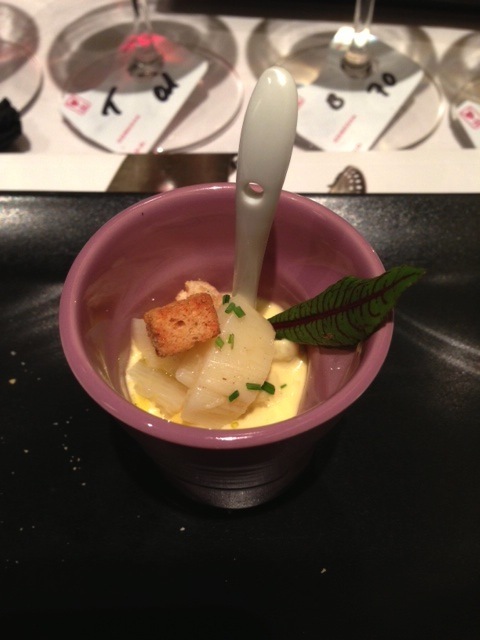 White asparagus mousse with hollandaise sauce. Tuna tenderloin topped with anchovies, roasted red peppers and fried slices of potato. 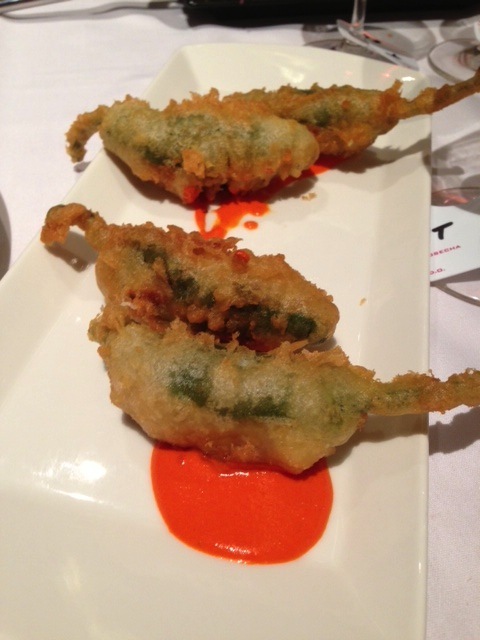 A tempura-fried Gernika pepper with a piquillo pepper sauce. 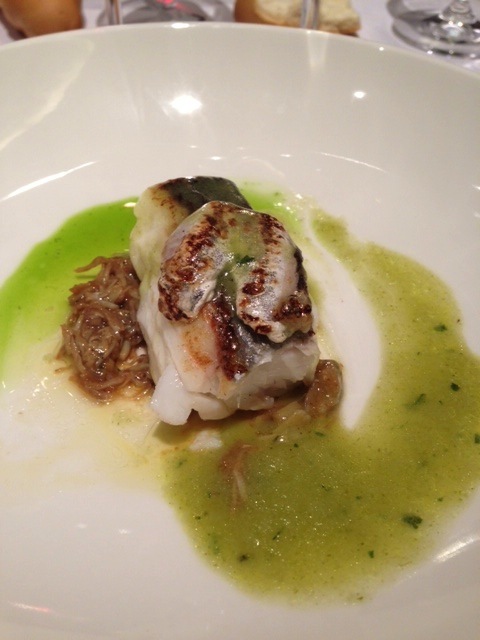 Hake on a bed of crushed crabmeat topped with a hake cheek. 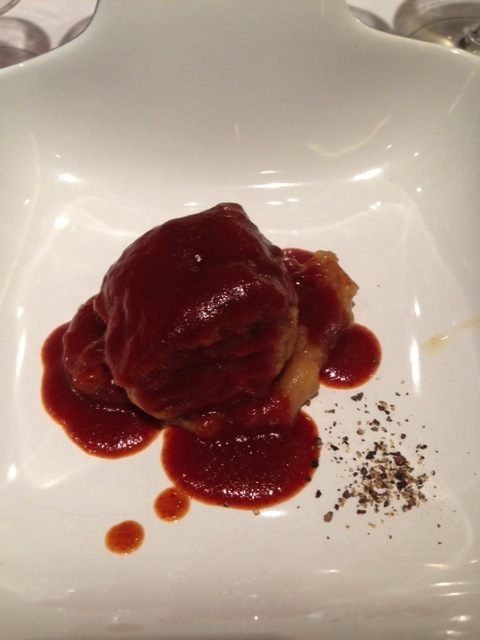 Stewed pigs’ trotters served in a ‘Vizcaya’ sauce (stewed spicy pepper meat with olive oil and ham) with wild mushrooms. Benjamin, who has a reputation for being a smart aleck, remarked while grinning at María José, that the wine had been bottled that afternoon. That got a big laugh from the audience! I have to admit that because of the lively conversation around the table and the speed with which both the dishes and the wines were served, I didn’t take detailed tasting notes on either the food or the wines, but I can say that the food was excellent and the wines promising, but largely inscrutable, at least to my nose and palate. I preferred the two whites to the reds, which showed great concentration and jamminess. They were very closed, almost like a black hole, with just a hint of what would undoubtedly open up in time to great complexity. It would have been fun to spend another two hours talking, waiting for the wines to open up, but it was a week night and the fear of police cars on the prowl for tipsy drivers made me leave right after the meal. Benjamin is going to give a tasting of his wines in the near future where I’ll be able to give them the attention they undoubtedly deserve. The neoterroirist movement is gaining traction in Rioja. One of the families leading the charge is the Egurens. 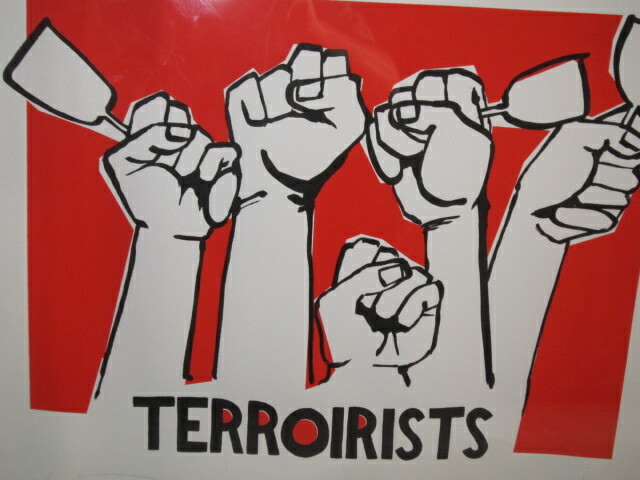 You might ask yourself, “Neoterroirists? 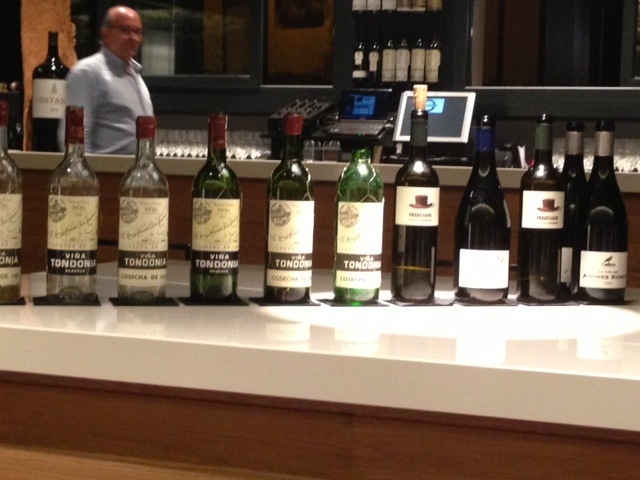 Hasn’t Rioja always been a terroir-based wine?” Yes and no. If we look at the last quarter of the 19th century, the founders of what is known today as modern Rioja (that is, wines made from destemmed grapes and aged in oak – Luciano de Murrieta, Camilo Hurtado de Amézaga, Rafael López de Heredia and others) believed in owning vineyards and creating brands based on wines produced there. But they, and wineries founded later also believed in blending grapes and wine from different parts of our region because the low alcohol tempranillo-based wines from Rioja Alta and Alavesa needed the meatier garnacha-based wines from hot Rioja Baja to flesh out their wines and because the end of the harvest in Alta and Alavesa often brought cold and rain. The neoterroirists reject the Rioja-wide blending habits of the large wineries, assuming the risks of putting all their grapes in one basket, attempting to define the personality of wines produced in small vineyards. 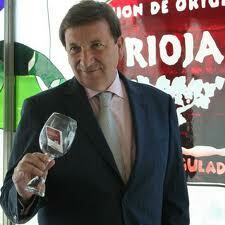 The latest slogan used by the Rioja Regulatory Council, ‘Rioja: the land of a thousand wines’ recognizes this fact. Like a few other families in Rioja, the Egurens started out as farmers who decided to vinify their grapes, age and bottle their wines rather than sell grapes to other wineries. The family have been farmers since 1870 with the fifth generation currently managing the company. They own 100 hectares in Rioja and 92 hectares in the DO Toro. 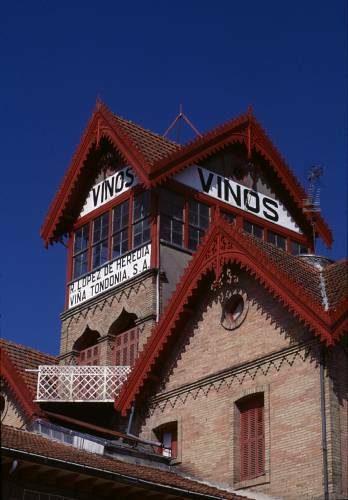 Their Rioja business is based in San Vicente de la Sonsierra across the Ebro river from Briones in La Rioja and Páganos, near Laguardia in Rioja Alavesa. San Vicente de la Sonsierra is the largest village in the Sonsierra region, located at the foot of the Sierra Cantabria mountain range. San Vicente belongs administratively to La Rioja but viticulturally, the Sonsierra lies between Briñas to the west near the Conchas of Haro to just east of San Vicente and includes vineyards in La Rioja and Álava. Some wine writers call the Sonsierra ‘la milla de oro’ or ‘the Golden Mile’. The family philosophy is to blend wines from their own vineyards for the Sierra Cantabria range and to produce single vineyard wines for the Viñedos de Páganos range. Marcos Eguren, the head viticulturist and winemaker for the family explained that their project is “to make wines that evoke the character of the vineyard, versatile and with a strong personality”. Valgrande and Jarrarte (4 hectares of tempranillo and garnacha, planted in 1957 and 1959 on calcareous clay soil). 90 hectares of tinta de Toro (tempranillo) on sandy soil. All of the vineyrds were planted at least 70 years ago, and some are prephylloxeric. All of the family’s wines are vinified from grapes from their own vineyards. We tasted five Riojas and three Toros. Organza is made from a field blend of viura, malvasía and white garnacha coming from the family’s vineyards, but from which ones wasn’t specified. Fermented in new French oak from the Vosges, remaining on the lees for six months and later matured in barrel for a further nine months. Organza was the last wine in the tasting, which I think is a shame because it really didn’t open up after pouring. When I used to take journalists to their San Vicente winery, Marcos Eguren always recommended tasting Organza both at the beginning and the end of the tasting. I found it to have a straw yellow color, a chamomile and aniseed nose opening up to peaches and apricots, with great acidity and structure. It’s consistently one of the best white Riojas I’ve ever tasted. Murmurón is arguably Rioja’s best cosechero red, with no hint of the bubble gum and sulfur dioxide aromas that characterize most of Rioja’s cosecheros. It showed a violet-bright cherry color, a fresh, grapey nose reminiscent of strawberries and raspberries, well balanced with ripe tannins and very easy to drink. It was served slightly chilled, as these wines always are in bars here. This wine comes from the Valgrande and Jarrarte vineyards. It was vinified with whole berry fermentation and with crushed grapes and aged for 18 months in new French and American oak. Medium cherry. Spicy nose – to me, nutmeg with dark fruit and cocoa coming out after a few minutes. It took a long time to open up, with jammy fruit coming through when I retasted all the wines at the end of the tasting. Well balanced with ripe tannins. El Puntido is a single vineyard wine coming from the eponymous vineyard. 16 months ageing in new French oak, with bottling in May, 2010. Fairly intense, brilliant cherry, cherry and slightly acidic, cranberry-like fruit. Not too much oak coming through in spite of the time spent in new wood. Great acidity and a long finish. My favorite wine in the tasting. Also a single vineyard wine. Intense cherry, slightly less brilliant than El Puntido. Black cherries on the nose but otherwise closed. A mouthful. Many of the tasters gushed about La Nieta being the best wine in the tasting but I thought it was closed. It probably would have showed better if the tasting had been an hour longer. A shame. To me, the Eguren story in Toro is fascinating. They created two dynamite brands there, Numanthia and Termanthia, the undisputed darlings of international wine gurus, led by Robert Parker. This naturally attracted the attention of the luxury brand conglomerate LMVH, who bought the Toro winery, the brands and the vineyards. The Egurens must have kept something up their sleeves, however, because they immediately began to develop new brands, a winery and 90 hectares of old vines. I’m not sure, but I suspect they owned them before the LMVH deal because otherwise the vineyards would have cost a fortune. In any case, the family is once again at the top of the heap in Toro. Marcos Eguren explained that one of the problems winemakers face in Toro is achieving phenolic (anthocyanins and tannins) ripeness, optimum alcoholic strength (avoiding massive 15% wines) and aromatic ripeness at the same time. The solution: looking for vineyards at higher elevations, something they have succeeded at. Fruit extraction is less intense than in Rioja to obtain ripe juice while eliminating the ‘green’ flavors from unripe seeds. The Eguren story in Toro could be summed up as ‘taming the beast’. Almirez is 100% tinta de Toro, aged for 14 months in oak – 30% new French and 70% one year-old French oak. It shows a very intense cherry color, dark fruit (hard to define because the wines were closed), with elegant tannins and good balance between spicy oak and rich fruit. 7) Victorino 2010 (Toro). 100% tinta de Toro. 18 months in new French oak, bottled in June, 2012. Very intense cherry. Again a very closed nose at first, opening up to reveal black cherries and spicy aromas. It was more open on the palate than on the nose, with ripe tannins, vibrant acidity and great structure. After 15 minutes in the glass it was still closed. 8) Alabaster 2010 (Toro). 100% tinta de Toro from prephylloxeric vines. 18 months in new French oak. Bottled in July, 2012. Intense black cherry color. Closed nose. I was only able to discern the spicy oak. A huge mouthful, however, revealing black fruit and ripe tannins. 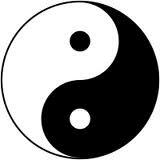 Smooth and well-balanced. I learned a lot from this tasting, especially about Toro: the value of north-facing vineyards in the region; high altitude vineyards to allow ripe tannins, moderate alcohol, and vibrant acidity; and sandy soil as the home of prephylloxeric vineyards (Jumilla is another place where this occurs). It reaffirmed my faith in Marcos Eguren’s prodigious talent as a winemaker and the unquestionable advantage of owning old vines. My only comments were that in future tastings, all the wines should be poured at the beginning to allow them to open up and be fully appreciated. Just opening the bottles isn’t enough. If consumed with a meal, these wines should be decanted at least 30 minutes before service. And finally, do the Toro wines need 18 months in new oak? If I can put my finger on one ongoing criticism of Rioja and mine especially in Toro is that oak aging is often overdone. Maybe a touch less would be a good thing. Rioja has lost a giant of a man, perhaps the greatest visionary of his generation, with the passing on April 20 of 84 year old Pedro López de Heredia, the patriarch of the 136 year-old bodega R. López de Heredia. Pedro was the grandson of the winery’s founder Rafael. Whenever I think of the four generations of this family I’m reminded of a quote that I read in Barbarians at the Gate by a member of the R.J. Reynolds tobacco company. “Mr. R.J. wrote the rules, all we do is follow them.” This was the López de Heredia philosophy too, steadfastly following the rules set down by founder Rafael to his son, also called Rafael, then to Pedro, and from him to his children María José, Mercedes and Julio, who currently run the winery. I’m not sure, but I think Pedro’s young grandchildren are already running around the winery on weekends. Making wine today like it was in the 1870s in the face of the high alcohol, opaque Riojas of the late 20th and early 21st centuries was a bold move. The ‘txori toki’ or ‘birds’ perch’ at the winery. I recently read an anecdote about Pedro and his father that sums up this attitude. After finishing high school, Pedro mentioned to his father that he was interested in studying chemistry. His father replied, “It’s up to you, but I wouldn’t advise it if you plan on working in the winery. With a chemistry degree you’ll be tempted to mess with the wines too much. It’s not only unadvisable, it’s also unethical.” So Pedro took a law degree, but never practiced, instead devoting his energy to his vineyards and winery. He always defended the fact that his winery was both traditional and at the forefront of modernity but loved to criticize, tongue in cheek, the initiatives that his children suggested. As the patriarch of the winery, he had the last word, of course, so he must have agreed with the idea of adding the Zaha Hadid-designed tasting room and visitors’ center to the winery. However, as told by daughter María José, he referred to it as “that ‘thing’ stuck on the front of the winery”. Vintage Pedro. 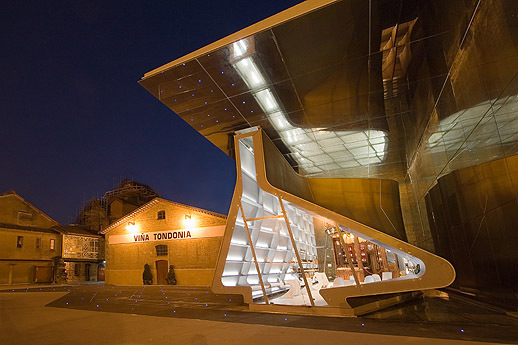 The Zaha Hadid-designed visitors’ center, nicknamed ‘The Flask’. I met him because he had been a founding member of the Rioja Exporters’ Association, which I directed for fifteen years. He sat on the board shortly after the association’s founding, although by the time I arrived on the scene his presence was limited to attending our annual general meetings, where he often spoke out against the politics espoused by the big wineries, but always in a reasoned, constructive way. His big political battle was to gain official recognition for the use of ‘vinos finos’ (elegant) for Rioja wines, something his grandfather and father fought for, to defend elegant Rioja against the coarse wines on the market, the norm at the time. Sadly, the Sherry producers had already registered the term ‘fino’ so Rioja wasn’t allowed to use it. If any wines deserved the label of ‘fino’, they were Pedro’s: elegant, silky and long-lived. I’m sure he was happy, though. Due to his perseverance in maintaining the founder’s dream of making ‘the supreme Rioja’ along with the international acclaim received for his wines, elegant, easy to drink Riojas have become popular once again. On the way out are the high alcohol fruit bombs produced following reviews by a few wine writers, mainly in the USA. Today, these same writers are heaping glowing praise on Heredia’s Tondonia, Bosconia, Gravonia and Cubillo. Rest in peace, Pedro. Mission accomplished.